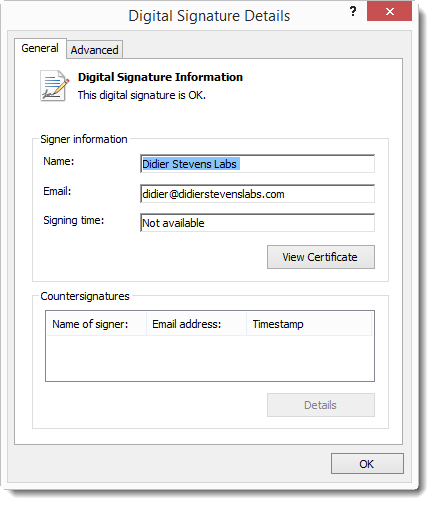 I have a couple of how-to posts on digital signatures, like this code signing post. Let me revisit this topic now that Microsoft announced some upcoming changes to code signing. FYI: in my case, I use option /a because I have more than one code signing certificate and I let signtool decide which one to use (option /a). But if you have only one code signing cert, you don’t need to use option /a. As you can see, the version of signtool.exe I use (6.3.9600.16384) still uses sha1 by default. Option /tr URL specifies a timestamping service that supports the RFC 3161 protocol. Conclusion: always use a timestamping service when signing code, this way your signature will not expire. 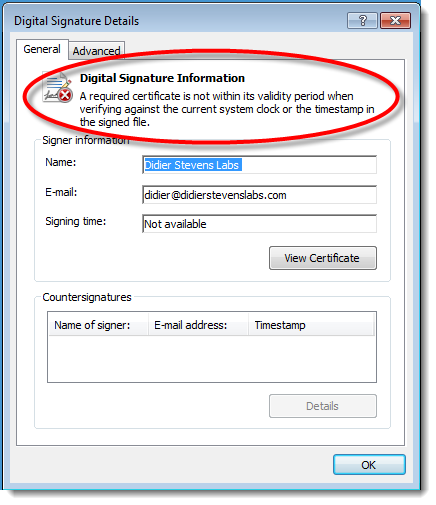 And you don’t need a code signing certificate to timestamp a signed executable. 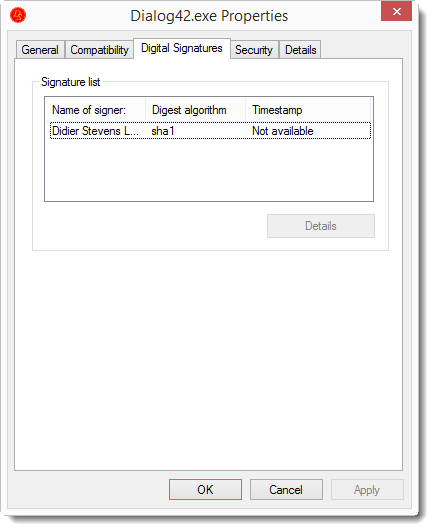 You can take any executable with an embedded signature, and add a new timestamping signature with this signtool.exe timestamp command. Why do I mention this? This will become clear in a next post, where we take a closer look at Microsoft’s sha256 code signing announcement. 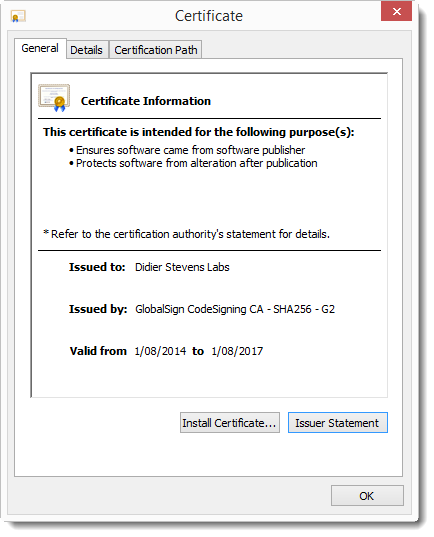 A last remark: as mentioned, option /a lets signtool.exe decide which certificate (from the certificate store) to use for the code signing (in case you have more than one code signing certificate). But if you want to explicitly select the code signing certificate to use, you can use option /sha1 with the sha1 fingerprint of the certificate you want to use. Important: /sha1 is a method to select a certificate, it does NOT instruct signtool to use the sha1 algorithm for the signature. Even with /td sha256, it seems that the timestamp signature still uses sha1… any idea about that? with /td you request a digest algorithm, but in the end it’s the timestampserver that selects the algo. OK, thanks Didier. Isn’t it an issue, though? If SHA1 is considered vulnerable, then an attacker could fake the timestamp to pretend the file was signed during the validity period of an expired certificate, right? Is there any timestamp server that supports SHA256 ? 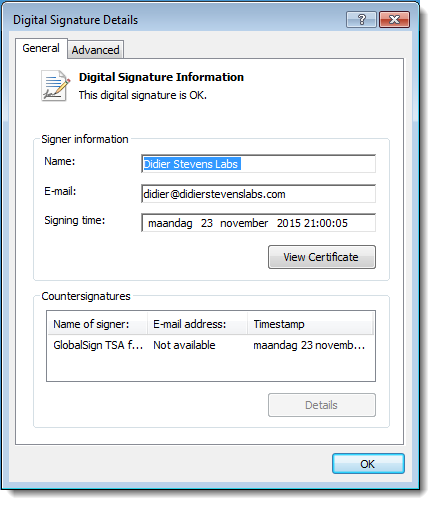 I tried Globalsign and Geotrust, both of them use SHA1. Did you try /tr http://timestamp.globalsign.com/?signature=sha2 ? Just tried, it seems to work as expected. Thanks! 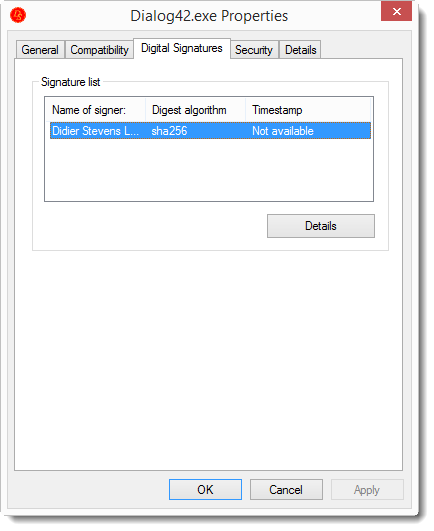 If you want to use SHA256 digest for timestamping your URL has to be /tr http://timestamp.globalsign.com/?signature=sha2 /td SHA256. Did they depricate it or is it still on? AFAIK the plan I linked to is up to date.